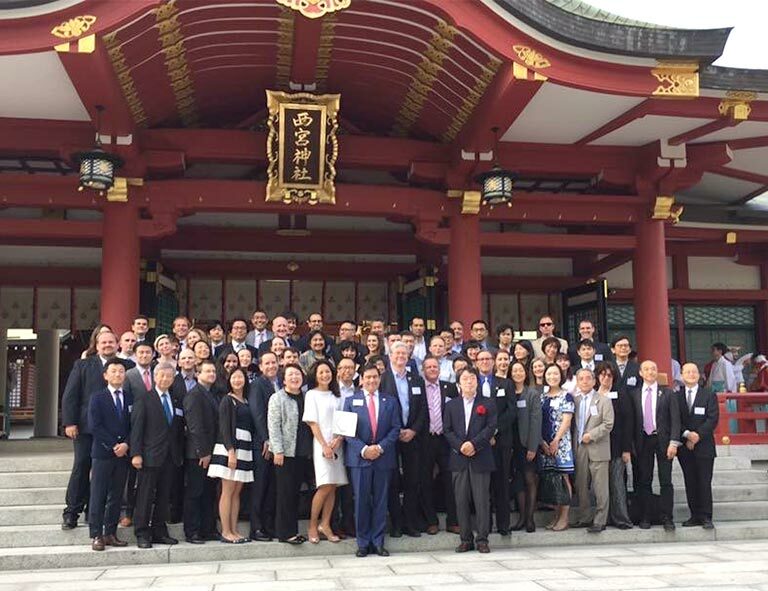 The 2016 International Wine Challenge (IWC) sake competition in Hyogo was a great success thanks to the Hyogo prefecture’s gracious hospitality. 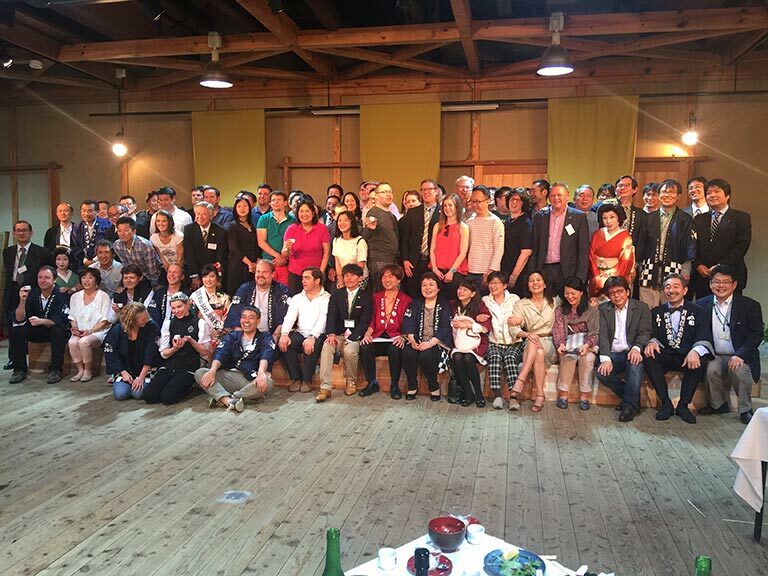 They made our stay so special and all of our judges, Sake Samurai and IWC staff had an unforgettable time there. One great experience in particular was the rice planting excursion. 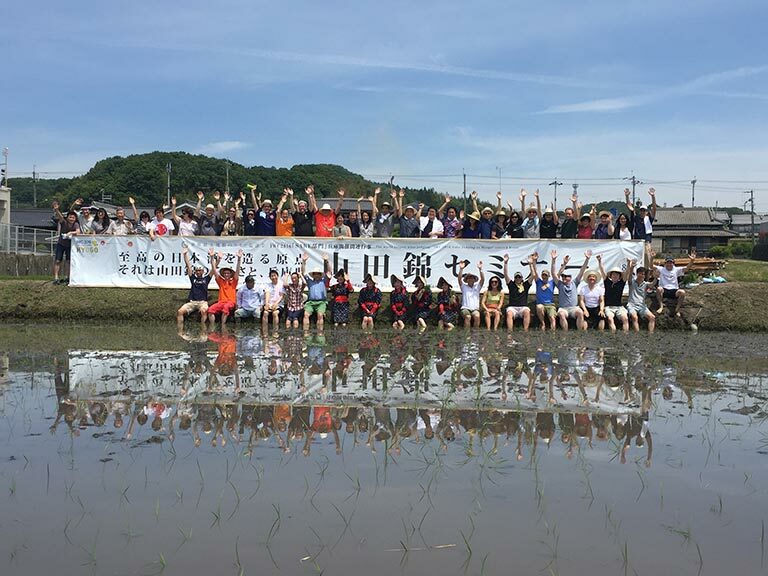 As the home of Yamadanishiki rice, Hyogo organised a tour to the local rice field and the participants had an opportunity to plant the rice seedling by their own hands. 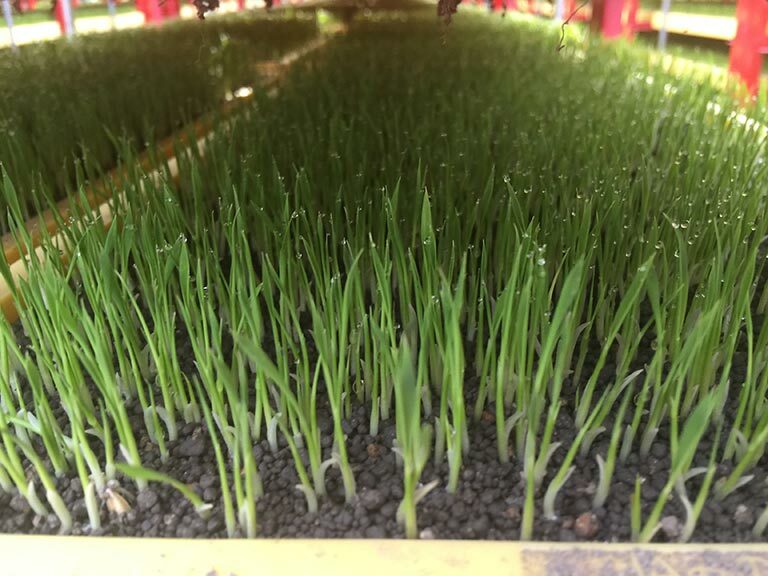 It is extremely interesting to see first-hand how the sake’s vital ingredient is grown as well as appreciating the high maintenance involved with plant rice. Under the blue sky we worked up a good sweat by feeling the soil, air and water. 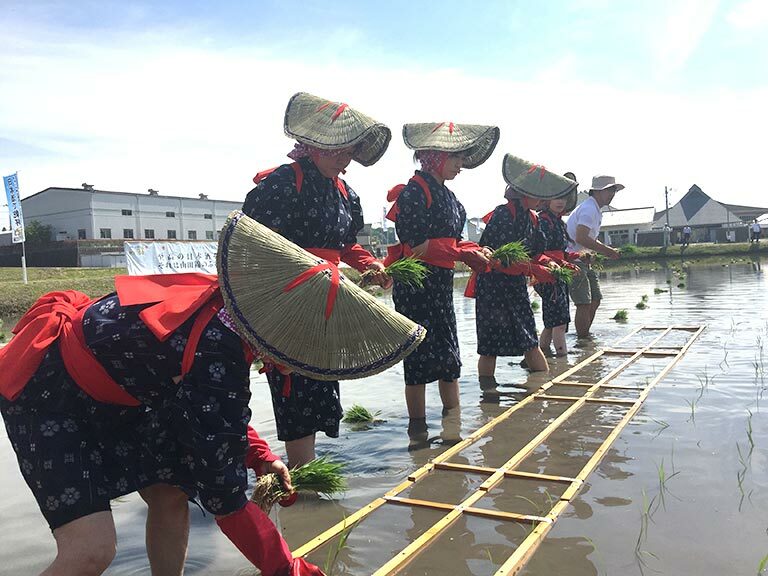 The rice planted by us will be made into a special sake next year by the Kikuhime brewery and sent to all the participants. Tasting sake made directly from rice you planted is a special gift indeed and a once-in-a-lifetime opportunity. To complement Hyogo’s involvement in such events, they are also planning future charity benefits. 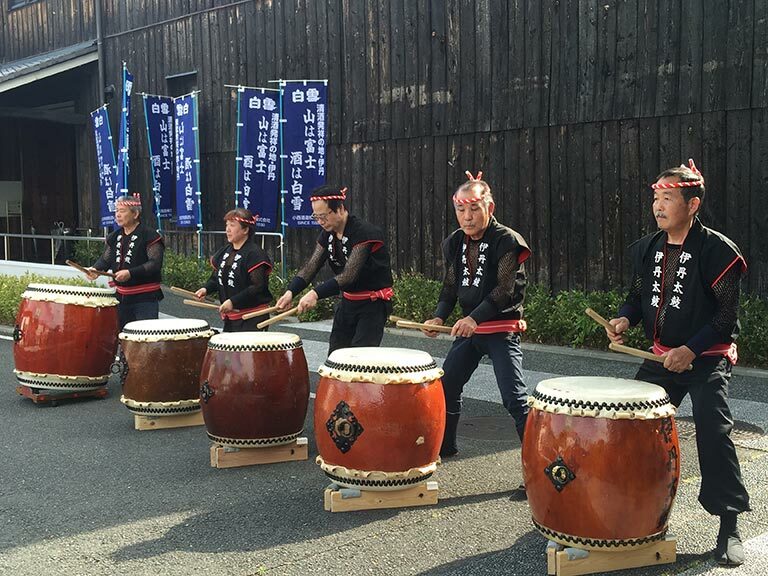 Sake bottles that were not opened during the competition were donated to Hyogo, who in turn will organise the charity events to sell them. All of the money raised will be donated towards supporting survivors of the 2011 Great East Japan Earthquake and 2016 Kumamoto Earthquake. Representatives of Hyogo will visit the 2016 IWC awards dinner in July, also giving a lecture on Yamadanishiki rice. This should aid increased awareness of sake within the industry in Europe, contributing to its ever growing popularity. We appreciate that Hyogo took time to make the 10th anniversary competition even more special. We hope our collaboration will not end here; this is just the start of a great relationship with IWC lasting long into the future.